Joining St John as a Cadet 13 years ago, Christine has had a long history in youth leadership—first as a Cadet NCO, then a Cadet Leader and progressing through to Divisional Youth Officer where she oversaw a very successful Junior Program. Today, Christine works as an Area Youth Coordinator within the Victorian State Youth Management Team. In this role, she works tirelessly to support 5 Divisional Managers as well as running the Knox Youth Division. In this role, Christine mentors and recruits new leaders and provides guidance to many Youth Managers and Officers. Due to this support, a significant increase in youth members in each division has occurred and each division has a full complement of staff. presentations at the Youth Managers Training Course, Easter Camp and Professional Development Days. In addition to all of this, Christine volunteers her time as a First Responder at public events. Christine has grown into a confident and mature leader who has always given 110% to St John. She is always willing to take on new tasks and challenge herself, and her contributions have had a lasting and positive impact on young Victorian members. 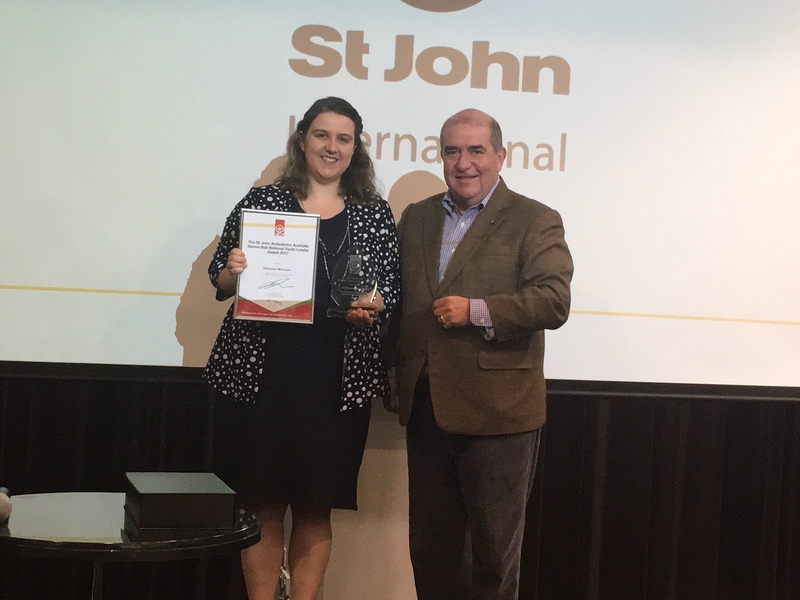 Christine received her Award at the National Member Convention in Canberra on 5 May 2018.